The European Breeding Birds Atlas (EBBA2) (www.ebba2.info) is an international initiative which aims at collection and presentation of the current data on the distribution and numbers of all the breeding birds in all the European countries between 2013-2017. It is a repetition of the initiative undertaken 20 years ago, when the first edition of the “Atlas of the breeding birds of Europe” (Hagemeijer, Blair 1997) was published. The importance of the EBBA2 project cannot be overestimated. It is the second time in the history of Europe that an attempt is made to comprehensively evaluate the distribution and numbers of all the breeding bird species on the continent, and that their changes in the last 20-30 years are analysed. This is of special significance in the light of the current deep land use changes, destruction of many habitats, or growing human population and the associated human pressure. Besides their scientific and faunistic value, results of EBBA2 could also be of use as a tool to exert pressure to more effectively protect birds in Europe. The EBBA2 project is coordinated by the EBCC (European Bird Census Council), with the support of national organisations, which implement the project in individual states. In Poland, EBBA2 data collection is supervised by the Polish Society for the Protection of Birds. Data collection will be split into several phases and will be done in collaboration with regional ornithological units and a numerous group of bird watchers. The Atlas of European breeding birds will present data gathered between 2013-2017, or earlier, in the case of lack of data from this period. The method and scope of field data collection was not determined by EBBC. In each state, data collection is performed in a different way, depending on the potential, e.g. the methods adopted for the purposes of the national atlas project. The highest quality data will be obtained from a few states, in which EBBA2 implementation coincided in time with national atlas projects implementation. In other cases, data available in accidental observation databases (e.g. census counts and ornitho system data), national survey schemes or data reported by regional coordinators will be used. Dedicated field research for EBBA2 atlas was carried out only in a few East-European states, in which they were sponsored. – changes in range relative to the first edition of the EBBA Atlas. The EBBA2 project is not financed centrally and the EBCC has not set fixed rules of the type of field data to feed the EBBA2 and how they should be collected. 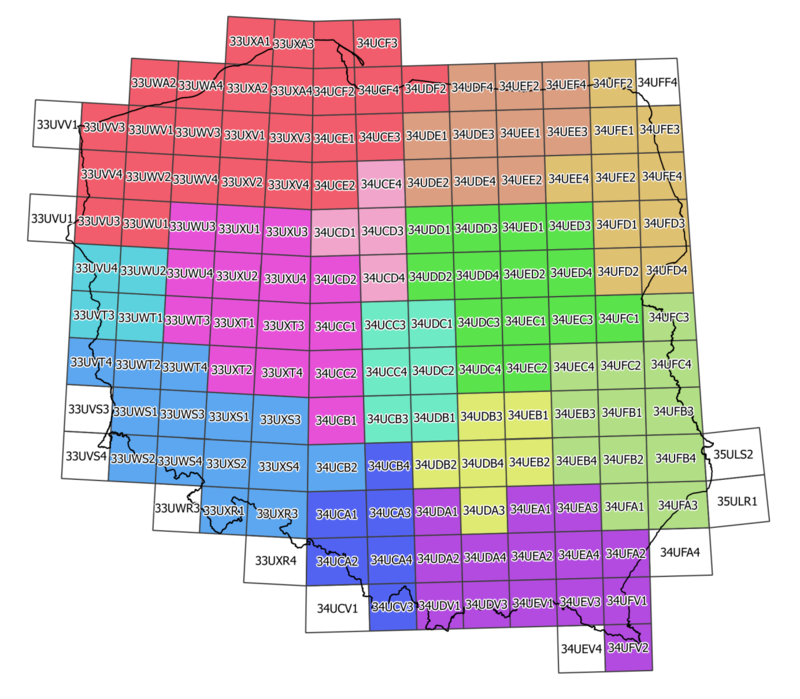 Only the format of output files presenting a summary of species for a 50×50 km plot has been set and is uniform across all the countries. For some European states, compiling the EBBA2 coincided in time with creation of national atlases. This is of course the optimal situation and we hoped that this would also be the case in Poland. However, despite attempts taken by OTOP, we failed to receive resources for the Polish atlas. Therefore, the Poland’s results to be transferred to the European atlas will come from a range of sources containing data collected between 2013-2017, supplemented by data collected between 2006-2012.
the regional level, covering summary and verification of data from regional bird registries and other sources, and their adjustment to EBBA2 requirements.